William Schneider, Jr. is President of International Planning Services, Inc., a Washington-based international trade and finance advisory firm, and is an Adjunct Fellow of the Hudson Institute. He was formerly Under Secretary of State for Security Assistance, Science and Technology (1982-1986). He served as Associate Director for National Security and International Affairs at the Office of Management and Budget (1981-2) prior to being nominated as Under Secretary by the President. In addition, Dr. Schneider serves as an advisor to the U.S. government in several capacities. He currently serves on the Department of State’s Defense Trade Advisory Group, and is a Member of its Arms Control and Non-Proliferation Advisory Board. 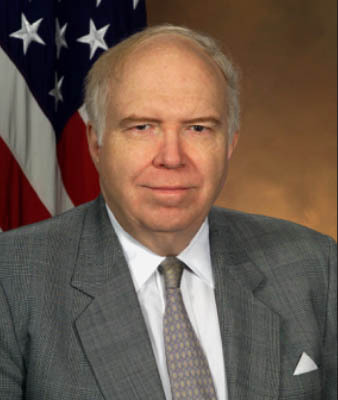 He previously served as Chairman of the President’s General Advisory Committee on Arms Control and Disarmament from 1987 to 1993, and has served on the Defense Science Board since 2001. He is an economist and defense analyst and was formerly a Staff Associate of the Subcommittees on Defense and Foreign Operations of the Committee on Appropriations in the U.S. House of Representatives and a consultant to the Hudson Institute (New York). Prior to joining the House of Representatives staff in 1977, he was a U.S. Senate staff member (1971-7) and a professional staff member of the Hudson Institute (1967-71). Dr. Schneider received his Ph.D. degree from New York University in 1968. He is a member of the American Economic Association, the Econometric Society, the Council on Foreign Relations, and the International Institute for Strategic Studies.